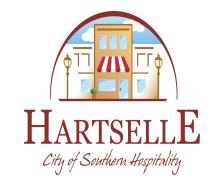 Yard Sale Permits may be obtained at City Hall for a fee of $5.00. A separate Yard Sale Permit must be purchased for each address having a sale. The sale may not exceed three consecutive days without a separate permit being purchased. Only two (2) Yard Sales are permitted per person or per address each calendar year. Permit must be visible from street during sale. No advertisements for the sale are permitted in medians, on utility poles or street signs or street right-of-ways. Private property only. Cars cannot block traffic lanes.